Join us in The Green Room, Maui’s literary and environmental salon series at the Maui Arts & Cultural Center, for an evening you won’t soon forget, featuring famed nature writer, environmentalist and humanitarian, Barry Lopez. To read Barry Lopez is to commune with a deep thinker. His writings have frequently been compared to those of Henry David Thoreau, as he brings a depth of erudition to the text by immersing himself in his surroundings, deftly integrating his environmental and humanitarian concerns. 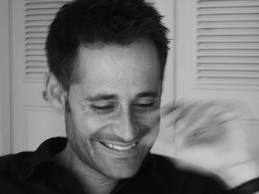 He is best known as the author of Arctic Dreams, for which he received the National Book Award. Barry Lopez will captivate The Green Room audience as he examines the relationship between human culture and physical landscape. Many thanks to our friends at FIM Group for their sponsorship of The Green Room. 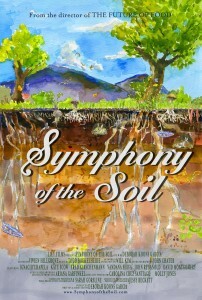 Deborah Koons Garcia is a filmmaker who will present her film Symphony of the Soil at the McCoy Theater at the Maui Arts & Cultural Center on Friday, March 13 at 6:30pm, and discuss it afterwards. It’s a presentation of The Merwin Conservancy’s The Green Room. Deborah recently appeared on Hawaii Public Radio on “The Conversation.” Click Here for an audio clip of her interview. We hope you enjoy it, and we hope you will join us in The Green Room on Friday, March 13 for this amazing film. In certain installments of The Poetry Lab, we ask a writers who have appeared in The Green Room to share their favorite W.S. Merwin poems…. “Berryman” was one of the first of William’s poems that I read, and one I’ve had above various desks, in various homes. I liked the way that it begins with a kind of promise, that somewhere within I might find an answer to the only question I was really concerned with: How do I become a writer? Don’t lose your arrogance. Pray to the muse. Literally. Paper your walls with rejection slips. Poetry was passion, passion was genius. I loved all of this. I felt forgiven for failure and believed, as I still do, that passion would be the only thing left. You die without knowing. If you have to be sure don’t write. What writer doesn’t want to know? What writer doesn’t want an absolute answer to that question? But I look at “Berryman” and I am reminded that I write not to be sure, but out of inexplicable desire and that desire must be enough. For the next several installments of The Poetry Lab, we asked a few writers who have appeared in The Green Room to share their favorite W.S. Merwin poems…. These are the last four lines of my favorite poem by William Merwin, “To the Surgeon Kevin Lin.” This poem spoke to me medically when I first read it. Over the years, especially after he read it for us during a visit to San Antonio, it has become one I never tire of re-reading—for the simplicity and eloquence of the gratitude he expresses after serious surgery. 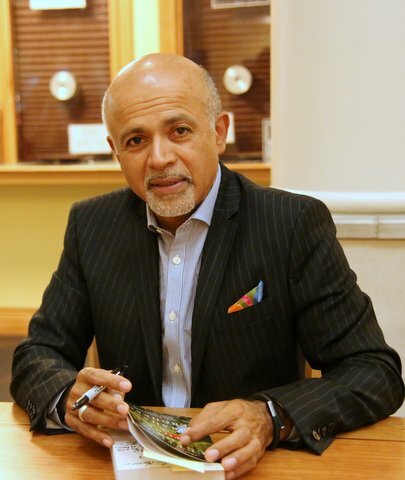 Abraham Verghese is Professor of Medicine at Stanford University and a fierce advocate for bedside medicine. His first novel, Cutting for Stone, was on the New York Times bestseller list for two years. His first book, a memoir, My Own Country, was a finalist for the National Book Critics Circle Award; his second, also a memoir, The Tennis Partner, was a national bestseller. His writing has appeared in The New Yorker, The Atlantic, The Wall Street Journal and in the medical literature. His website link is www.abrahamverghese.com.